DESCRIPTION: Snuggling into the sheets and wrapping up in soft blankets as the day melts away can be exactly what we need. But those nights when we struggle to find rest can be pure torture. 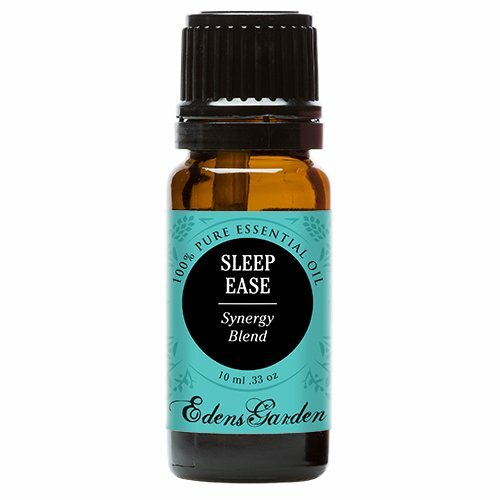 Before you toss and turn, try letting Good Night's gentle aroma soothe you to sleep. 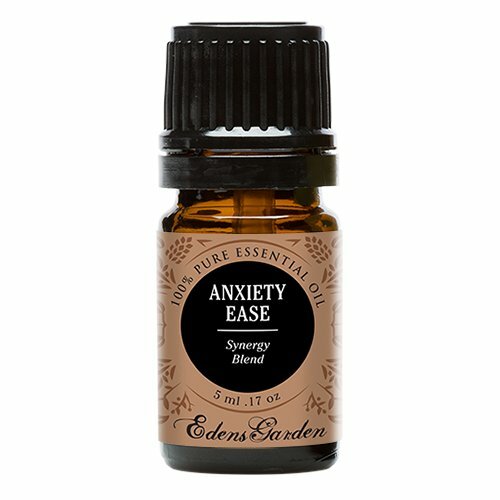 A pleasantly cozy blend that promotes calm and rest. Good Night possesses layers of individual oils, each with unique soothing properties that help you sink deeply into the pillow. 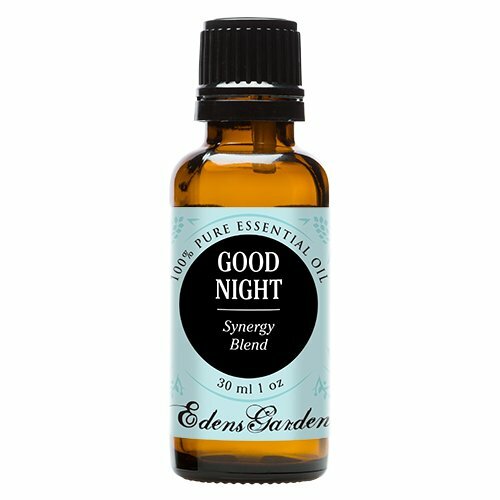 Good Night is an even blend of Chamomile, Clary Sage, Copaiba, Lavender, Peru Balsam, Sandalwood, Sweet Marjoram and Ylang Ylang. Made with care from our top quality oils and, as always, Edens Garden essential oils are never diluted or mixed with additives. CONTAINS: Chamomile, Clary Sage, Copaiba, Lavender, Peru Balsam, Sandalwood, Sweet Marjoram and Ylang Ylang BE INSPIRED: Try placing a few drops on your pillow at night or on the bottom of your feet for sweet dreams and a rested next day. *ABOUT THE FIGHTING FIVE SYNERGY BLEND (COMPARABLE TO YOUNG LIVING'S THIEVES OIL)- Tough as nails and not easily broken, you are strong in ways you may not even realize. Think of all humans have accomplished and conquered throughout history. We've toppled cruel rulers, fought back against oppression and soared to the moon. Heck, half of us have carried human life inside our own bodies. Defend your health with the Fighting Five synergy blend, which contains the most aggressively powerful essential oils of all time. Clove, Cinnamon, Rosemary, Lemon and Eucalyptus effectively work together to boost the immune system while giving the axe to airborne bacteria and germs. Fighting Five cuts off respiratory congestion before it even starts by protecting the entire body from infectious harm. 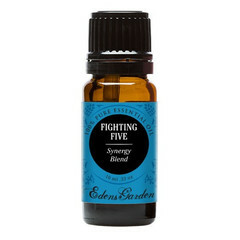 Because of its all-natural and pure composition, Fighting Five can be used daily to protect your health. Add it to your routine so you can feel vibrant and strong every day of the week. Made with care from our top quality oils and, as always, Edens Garden essential oils are never diluted or mixed with additives. *BE INSPIRED- Mix the Fighting Five blend and purified water into a spray bottle to kill bacteria and harmful germs. By spraying in front of the A/C unit, the mixture travels through the filter onto bed covers, sheets, pillowcases and bathroom counters. Tough as nails and not easily broken, you are strong in ways you may not even realize. Think of all that humans have accomplished and conquered throughout history. We've toppled cruel rulers, fought back against oppression and soared to the moon. Heck, half of us have carried human life inside of our own bodies. Defend your health with the Fighting Five synergy blend, which contains the most aggressively powerful essential oils of all time. Clove, Cinnamon, Rosemary, Lemon and Eucalyptus effectively work together to boost the immune system while giving the axe to airborne bacteria and germs. Fighting Five cuts off respiratory congestion before it starts, by protecting the body from infectious harm. 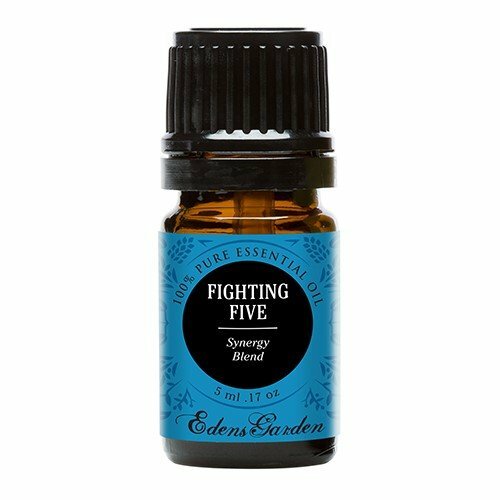 Because of its all-natural and pure composition, Fighting Five can be used daily to protect your health. Add it to your routine so you can feel vibrant and strong every day of the week. Made with care from our top quality oils and, as always, Edens Garden essential oils are never diluted or mixed with additives. Add some extra sparkle to your home while eliminating dangerous and toxic chemicals by mixing Cleaning into your chore routine. Not only does it have an enviable aroma that you could pass off as a fancy perfume, Cleaning has tons of antiviral, antibacterial, antifungal and antiseptic qualities. It's completely all-natural and can work wonders on counters, floors, tile, toilets, sinks, ovens, windows and wood. There is no need for harsh chemicals or dangerous additives when you have mother nature on your side. Cleaning is a holistic blend of Lavender, Lemongrass, Rosemary and Tea Tree. Made with care from our top quality oils and, as always, Edens Garden essential oils are never diluted or mixed with additives. CONTAINS: Lavender, Lemongrass, Rosemary and Tea Tree BE INSPIRED: For general cleaning power try mixing 1-cup vinegar, 2 cups purified water and 20-30 drops of Cleaning blend essential oil in a spray bottle. Shake well and spray on unclean surfaces. For floors or larger cleaning areas, double or triple recipe. For wood surfaces, add olive oil. Be sure to test a small surface area. Happy cleaning! Imagine walking through orange groves on a bright sunny day. Think about the aroma of freshly squeezed grapefruit juice in the heat of summer and you may have an idea of what Simply Citrus is like. A sweet and splendid combination of Blood Orange, Grapefruit, Lemon, Mandarin, Spearmint, and Sweet Orange, Simply Citrus has powerful antioxidant d-limonene content that can help strengthen the immune system. 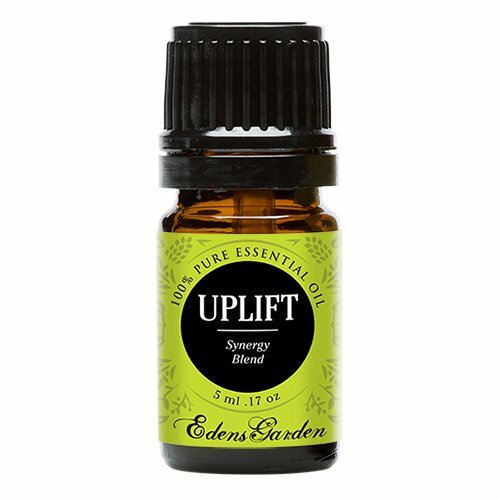 Beyond physical health, Simply Citrus stirs up feelings of happiness and positivity. A powerhouse blend with an aroma that you'll want to make use of daily, Simply Citrus was crafted with care. As always, Edens Garden essential oils are never diluted or mixed with additives. 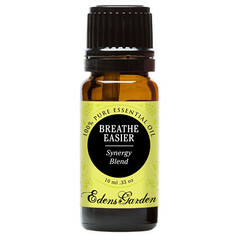 CONTAINS: Blood Orange, Grapefruit, Lemon, Mandarin, Spearmint, and Sweet Orange BE INSPIRED: To dispel of household cooking odors add a few drops of Simply Citrus to a simmering pan of purified water. Or make your own facial scrub with 1 tsp. of baking soda, 1 drop of coconut oil, and 2 drops of simply citrus. Get ready for some sparkle! Numerous health benefits are linked to positive thinking, including a stronger immune system and longer life span. But we may still struggle to maintain happy moods when days feel heavy. Sunshine Spice was crafted from pure essentials to help you hold onto calming bliss with ease. With a powerful citrusy and peppery aroma, Sunshine Spice is a favorite by almost anyone who encounters it. Sunshine Spice is somewhat gender neutral and is absolutely amazing in a diffuser. It is comprised of a beautiful combination of Balsam, Camphor, Cinnamon Bark, Cinnamon Leaf, Eucalyptus (Eucalyptus globulus) and Sweet Orange. As always, Edens Garden essential oils are never diluted or mixed with additives. CONTAINS: Balsam (Dipterocarpus turbinatus), Camphor (Cinnamomum camphora), Cinnamon Bark (Cinnamomum zeylanicum), Cinnamon Leaf (Cinnamomum zeylanicum), Eucalyptus (Eucalyptus globulus) and Sweet Orange (Citrus aurantium dulcis) BE INSPIRED: Try making a fun, fresh body lotion. A perfect oil to diffuse when having guests over.